In term of creativity, they score. In term of food, it tasted moderate.In term of service, it was below par. And we were referring to Paradise Dynasty. Read on. 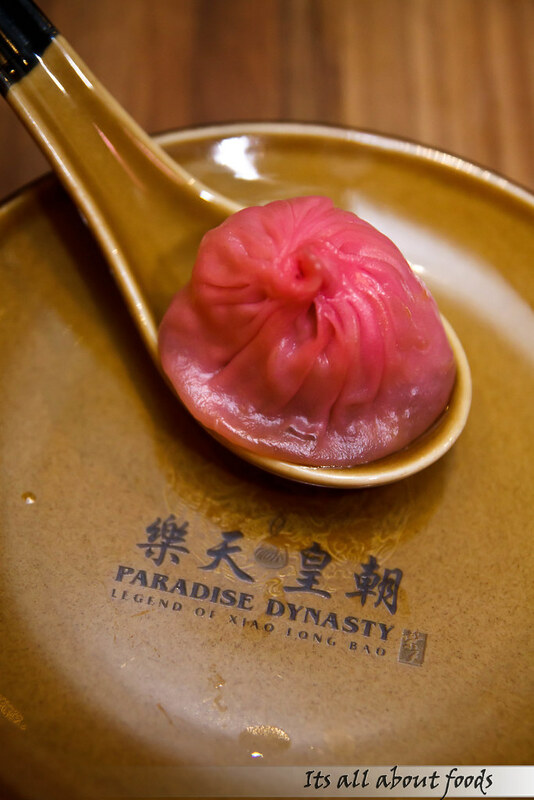 Hailed from Singapore, Paradise Dynasty is now opening in Paradigm Mall, serving exquisite flavours from Northern and Southern China. 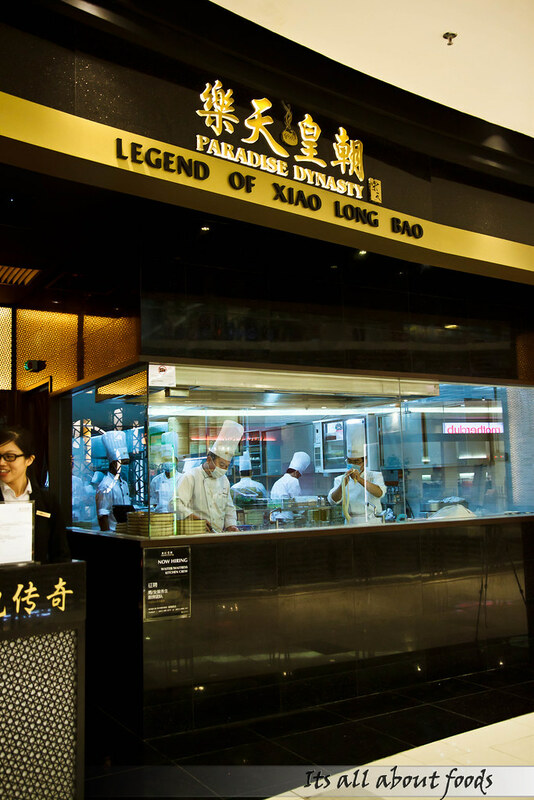 Their world first xiao long bao that comes in never tried before flavors which are crab roe, cheese, garlic, ginseng, Szechuan and the king among kings-foie gras and black truffle, has caught throng of crowd to queue at their entrance especially during meal time. 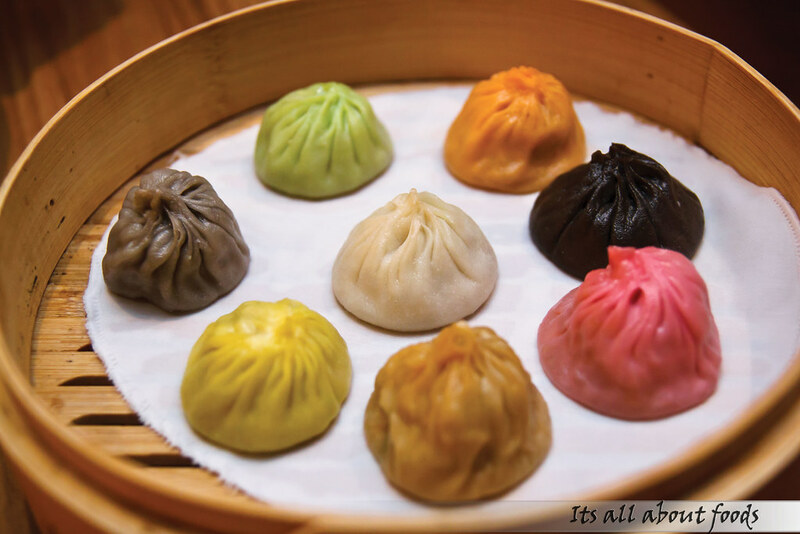 Of course, we too, ordered a basket of the colourful xiao long bao when dining in Paradise Dynasty last Wednesday. Presentation was nice, but nothing surprise. 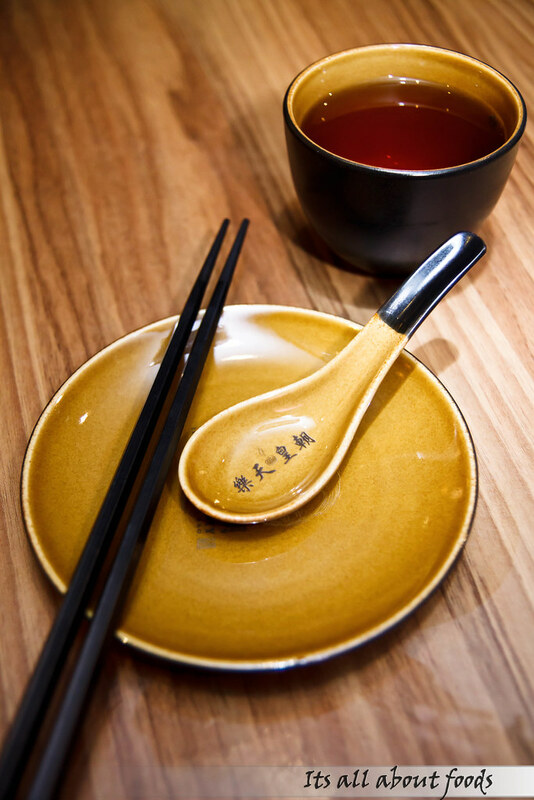 Taste wise, their xiao long bao still couldn’t beat those in Din Tai Fung and Dragon-I. Our excitement to delve into the second, third and following flavors were gone after the first. 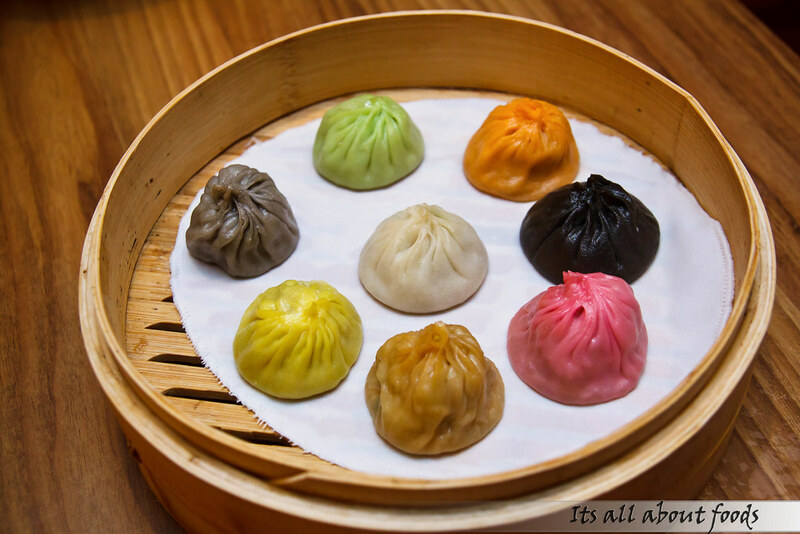 Anyhow, we gave thumbs up for the creativity for mixing in interesting flavors together with the xiao long bao’s fillings. They came in 8 flavours for one basket, which were steamed original xiao long bao (white), steamed foie gras xiao long bao (bright orange), steamed black truffle xiao long bao (black), steamed crab roe xiao long bao (light orange), steamed ginseng xiao long bao (green), steamed cheesy xiao long bao (yellow), steamed garlic xiao long bao (chocolate), and steamed szechuan xiao long bao (red). When it reached our table, we thought it was a wrong order. 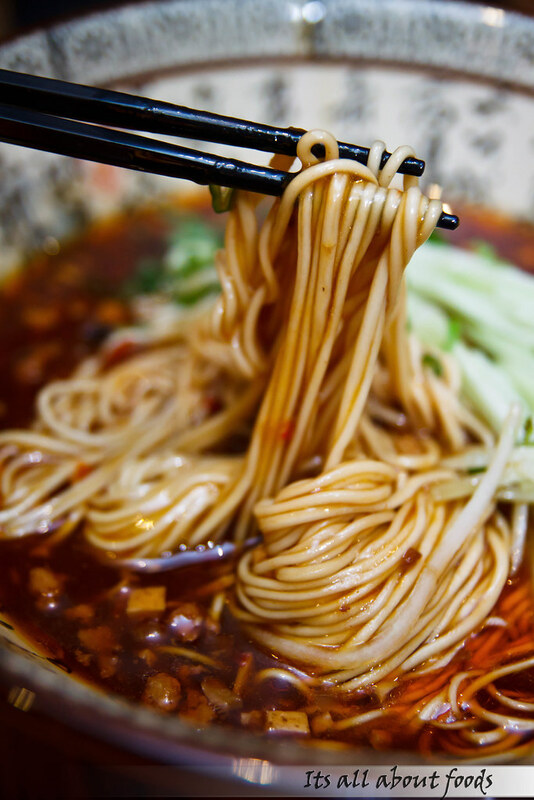 Why their zha jiang mian was so… soupy? The gravy was literally covering the whole bowl la mien and looked totally different as seen on the menu. The la mien was delicious actually, with moderate level of spiciness to bring up your appetite and sizeable portion to fill your hungry stomach. Just the down side was, it didn’t look like and taste like zha jiang la mien. 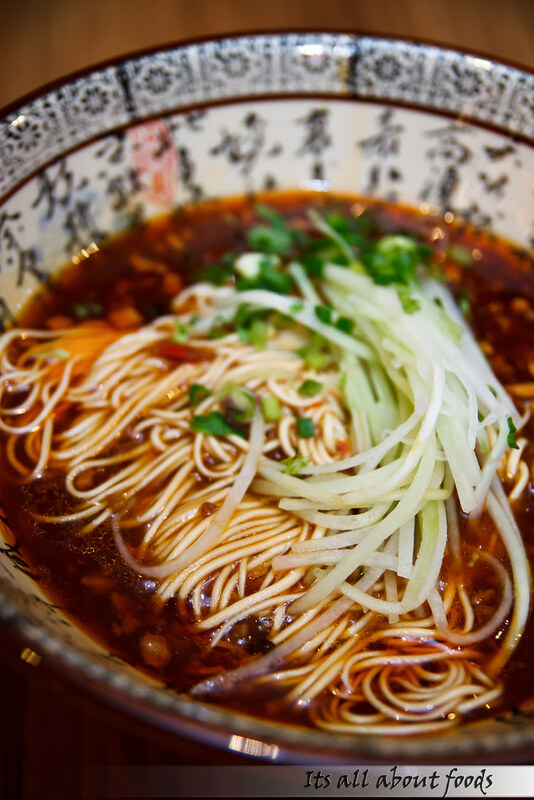 We would rank it under the spicy but non-sour version of hot and spicy la mien. 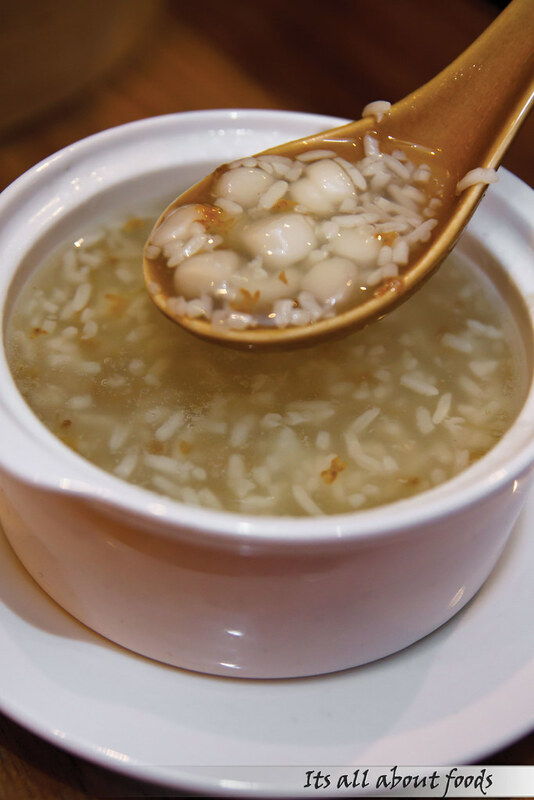 A little sweet, a little sour, and a little fragrance from the fermented rice wine, the sweet soup is very soothing with lots of glutinous rice balls swimming in the soup. Finally there was something that satisfied our palate, and we both agreed that they did better in dessert than xiao long bao. Overall, their food was not bad, just not as good as we thought. Another thing was they really need to improve the service, as their waitresses were not well trained at all. Why? Uncertainty with Err and Gua? This shouldn’t have happen. Was it so hard to add Excuse me or Please in front? 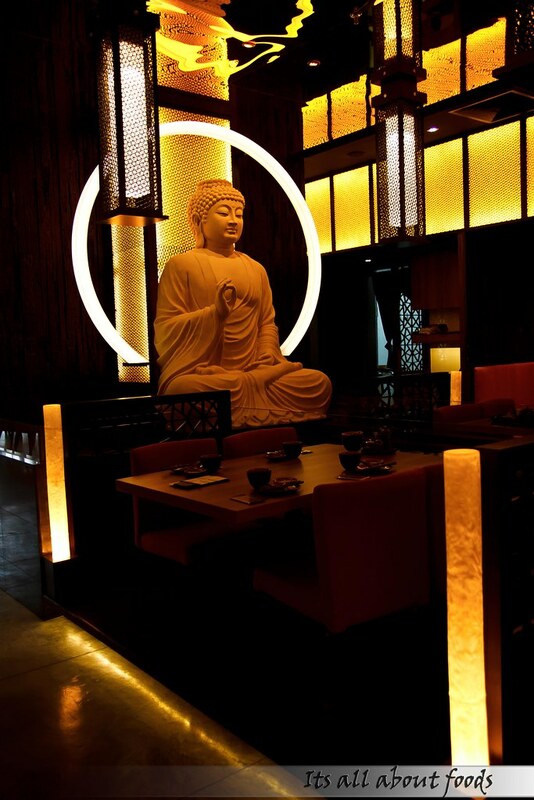 3) After the meal, we went to take a picture of the restaurant entrance for blogging purpose. While taking the photos, one waitress (or manager or supervisor whatsoever) came to us, telling us that we were not allowed to take pictures of the xiao long bao making process, with her hands putting up a big cross to us repeatedly. This was so unfriendly and embarrassing. We were standing near to the reception (at the mall’s corridor), so far away from the open kitchen and you say we were taking the process of making xiao long bao? What a shame. We weren’t interested to take photos of the process at all. 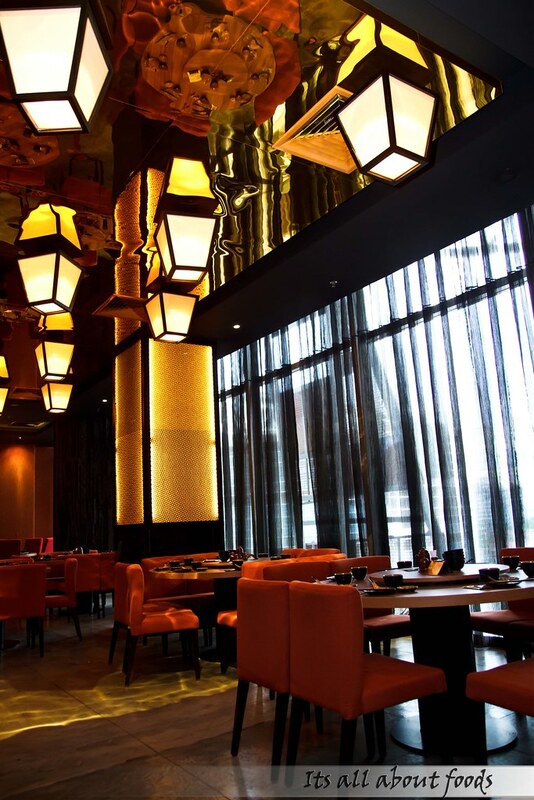 Din Tai Fung and Dragon-I did equally well and why would we care to take here? HUH? Cannot take picture one ar? WHY, u are not recording or stand there for one whole day pun..